With Summer now officially behind us I look forward to Autumn, probably my favourite season of the year, the month of October brings the penultimate fair of the year as the main focus of our attention. The prestigious Winter Art & Antiques fair at London Olympia, 30th Oct – 4th November. In this year’s new look event we are situated at gallery stand 100, your complimentary tickets will be posted out shortly, along with tickets for those of you that also attend the tri annual Antiques for everyone, Hall 12 NEC Birmingham 15th – 18th November, here you will find us in our usual stand F 20, Ryan and I very much look forward to seeing you at these events. Following on from Asian art week in the USA, and as suggested in last months newsletter, we were indeed privileged to be offered further items from a retired private collector, although currently in the shipping process we anticipate having these wonderful Japanese works of art available to exhibit at Olympia, and of course to coincide as a feature in our exclusive members area. 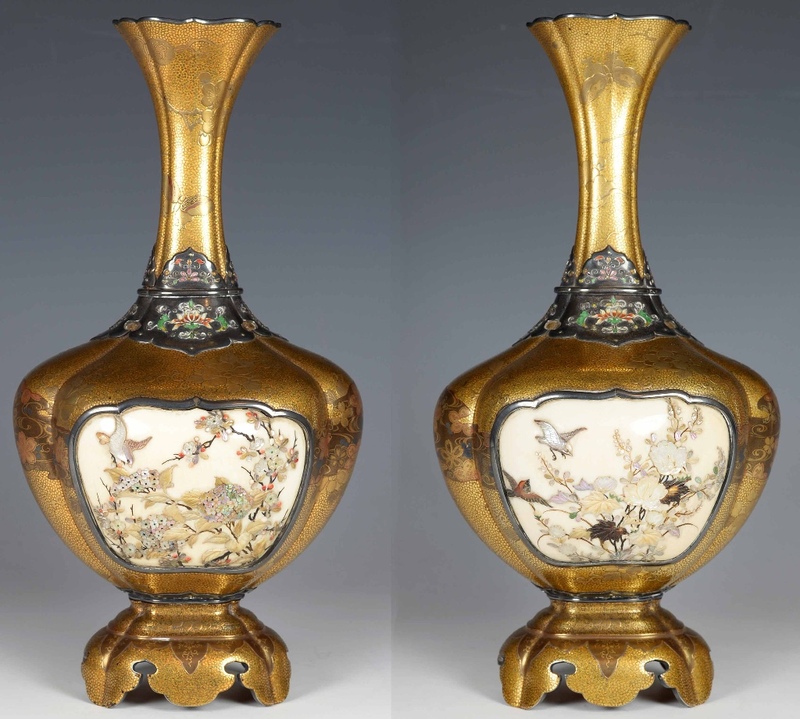 In last month’s members area we featured a stunning pair of Gold lacquer vases, previously supplied by ourselves, I am delighted to have once again found them a new home in an important overseas collection. 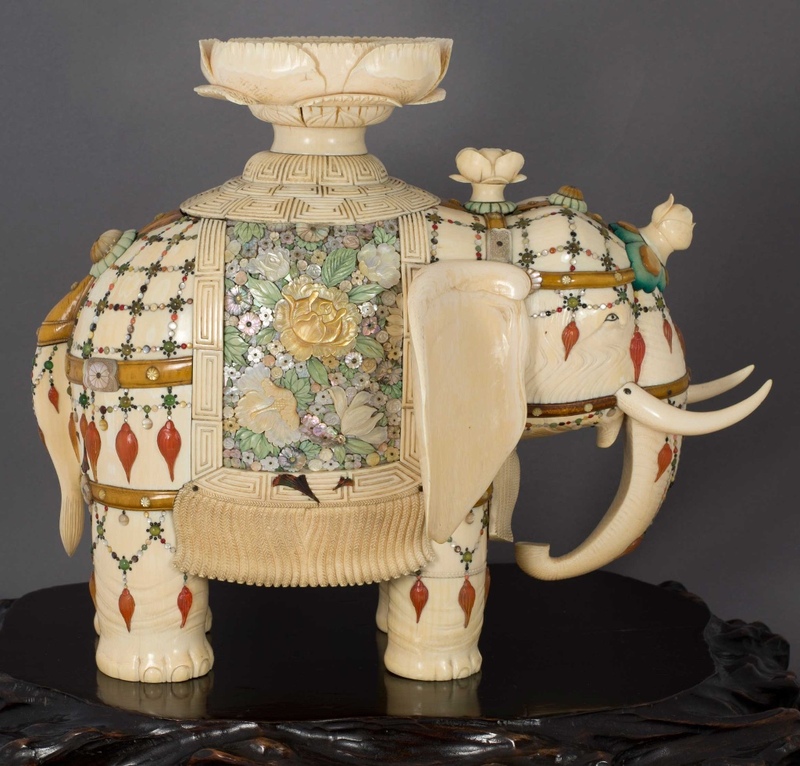 Following on from last months Ivory update, we seemingly also inspired an overseas client to purchase our magnificent Shibayama Elephant that he had been watching for a while. 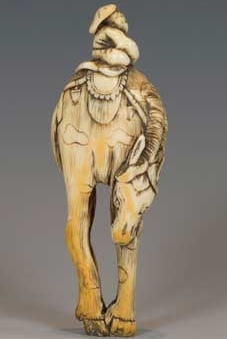 Our large Edo period Ivory Netsuke in the form of a grazing Horse was also snapped up by a very valued Australian collector. I would gladly have kept all of the above Japanese works of art containing Ivory, if forced to do so by our governments pending and ill though legislation, I am equally glad to have found them new homes with people that I’m sure will delight at owning them. 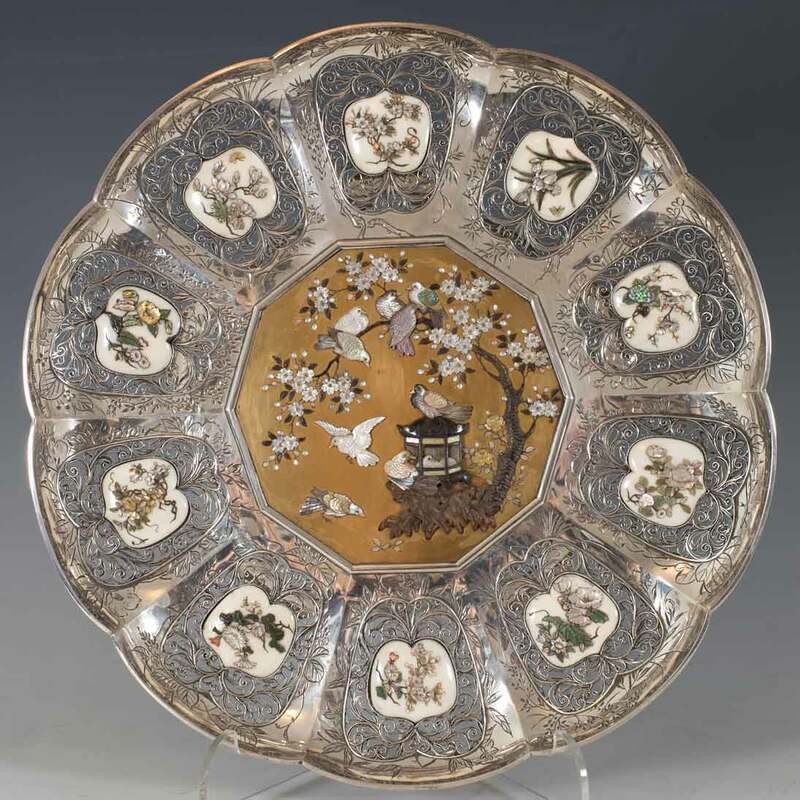 In this months exclusive members area we feature this fine quality Silver and Shibayama panel, an item previously supplied by ourselves and once again containing elements of Ivory. 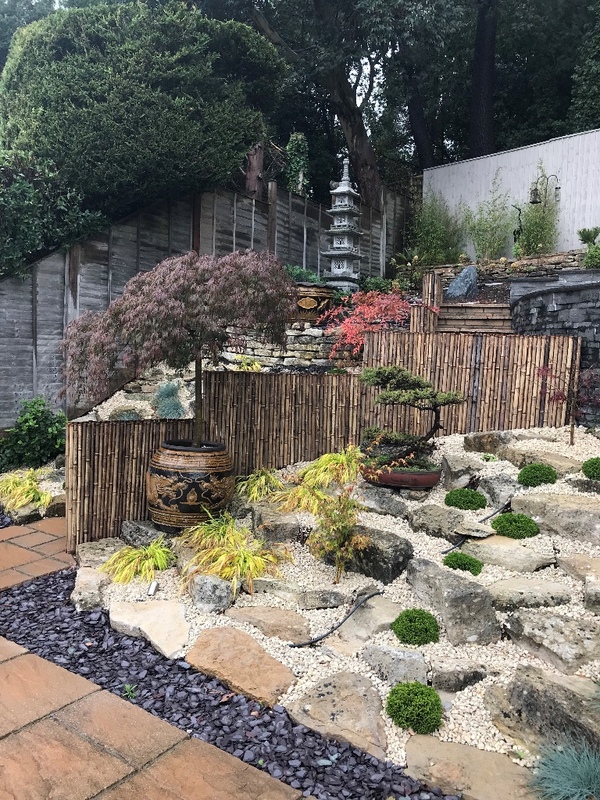 Finally for now, having just had a short break away with family members, it was a pleasure to return home and witness the effect Autumn is having on my newly landscaped Japanese themed garden, it has been a labour of love and a work in progress for sure, but just another indication of how the love of all things Japanese inspire me, allow me to share an image of one area with you.